Prepare using your favorite cut-up fresh fruit, such as pineapple and/or apples. Or, substitute drained canned crushed pineapple for the fresh fruit. 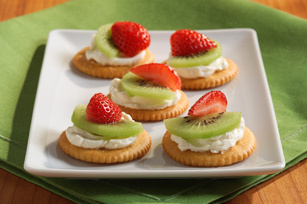 Prepare using PHILADELPHIA Cream Cheese Spread.